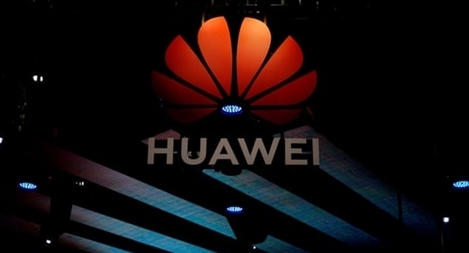 Theresa May has ordered that Chinese telecoms supplier Huawei be banned from supplying core parts of the future 5G mobile phone network, following a meeting of ministers on the National Security Council (NSC). An Australian freighter that was sunk by a Japanese submarine during World War II has been discovered “relatively intact” 77 years later in the Bass Strait between mainland Australia and Tasmania. Samsung Electronics Co Ltd said on Monday it would delay the retail launch of its Galaxy Fold smartphone for an unspecified period of time after reviewers discovered problems with the display, a hit to the reputation of the world’s largest handset maker. Vietnam will develop a plan to improve Vietnamese enterprises’ ability to accurately measure various factors in their operations, said Minister of Science and Technology Chu Ngọc Anh on April 19. Giant IT-real-estate-manufacturing-retail conglomerate Vingroup on April 17 opened VinAI Research, a research institute focusing on artificial intelligence (AI) with the goal of elevating Vietnam’s role in the AI world. The Vietnam’s Authority of Information Security and the Information Security Association on April 17 launched an alliance to handle malicious code and prevent network attacks with the participation of leading companies and organization of the sector. The most ancient type of molecule in our universe has been detected in space, scientists have revealed, backing up theories of how the early chemistry of the universe developed after the big bang. PSNews - The technology will bring its customers new experiences such as opening the door automatically, checking in within 3 seconds or paying for services by identifying their smiles. Earlier this year, scientists had to update the World Magnetic Model representing our planet's magnetic field a year ahead of schedule after discovering that the Magnetic North Pole was moving from the Canadian Arctic toward Russia's Siberia at an accelerated pace. According to data from Downdetector, the social media platforms are down in Europe, primarily in the United Kingdom and Italy, as well as in other countries, namely Russia, Singapore, the United Arab Emirates, the United States and others. The section where the incident took place was designed to test experimental technologies related to refuelling spacecraft with methane using special techniques allowing for the preservation of fuel in tanks for lengthy periods of time. That black hole you've seen everywhere now has a name. It's been christened Powehi -- a Hawaiian phrase referring to an "embellished dark source of unending creation." PSNews - According to Klaus Dieter Lietzmann, President of EAB Newenergy GmbH, the plant’s construction began in August 2016. It is comprised of 16 E-103 wind turbines – one of the most modern produced by ENERCON GmbH. PSNews - Reporter of Nikkei said that Viettel's 4G network uses most of equipment of Huawei Company (China). This information is completely incorrect. WikiLeaks founder’s removal from London embassy brings seven-year diplomatic stalemate to an end. The first Internet of Things (IoT) Innovation Hub in Vietnam was launched at Hoa Lac Hi-Tech Park in Hanoi on April 10. Twitter launched on Wednesday an emoji for the European Parliament elections in May, seeking to provide a visual link to channel conversations around a vote set to affect the European Union in the coming years. The Vietnam Information Technology Outsourcing (VNITO) Conference will take place in Ho Chi Minh City from October 23 to 25.